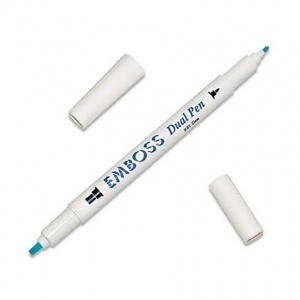 Use these double ended embossing pens (one end has small bullet tip, the other has a large chisel tip) to write messages or draw freehand images and then emboss by covering with embossing powder and heating with Heat Gun. Exactly what I wanted. Excellent speedy service. Highly recommended. Thank you.